This fashion post brought to you by the so fashionable people at Looksima.com. Looksima is a new online styling company that offers free personalized fashion advice. After your style has been defined, stylists will make fashion selections for different occasions for you to choose from. Then you can choose what you want by clicking on the links by each look to go the the store selling the items. Saving you the time and trouble of fighting the crowds in the stores or even if you are shopping online, you may think something looks like your style until you get it. I know I’ve done that a lot. Looksima takes the work out of it for you. LOOKSIMA stands for Looks I Most Adore. Our mission is to provide professional and affordable stylist services to a wide audience. We achieve this by applying a very unique concept: we define your style and ask our stylists to recommend looks for you for all kinds of occasions based on your style profile. You can then buy what you like by clicking on the direct links provided next to each look, which take you to the store selling the items. If you want to know what to wear to a party or a business meeting, or simply want to look stylish, LOOKSIMA is the right place for you! It all started in NYC in the end of 2011 and we are now based in two of the largest countries of the world: the US and Russia. We have offices in New York, Los Angeles and Moscow and rely on well-known professional stylists on the both sides of the ocean to bring you the best of style and fashion. I joined and took my style quiz (which only took a couple of minutes). The results… my style is 43% Glam, 29% Classy, and 29% Girly. I definitely agree that there wouldn’t be one style with a huge percentage, because I do have an eclectic sense of style. I’m looking forward to see what looks they come up with for me. 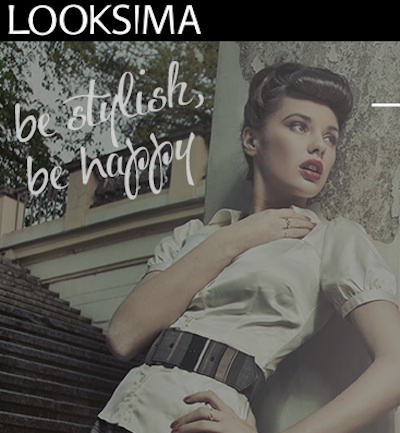 So all you fashionistas and those of you like me, who can use a little help, check out Looksima.com. Now I have to get my husband to sign up… he really does need a little extra help. Disclosure: This is a sponsored post written by me on behalf of Looksima for Sverve. All opinions are 100% my own. I am disclosing this in accordance with the Federal Trade Commission’s 16 CFR, Part 255: “Guides Concerning the Use of Endorsements and Testimonials in Advertising. I’m afraid of what it might say in my case! Does it have a yoga pants and t-shirts classification? What fun! I’m with Sarah…I need a yoga pants (or faded four-year-old gaucho pants) category. I will check it out. You’ll have to update and let us know how well it pinpoints things for you! Ha, I think I’m with Sarah and afraid what it would say about my normal mom wear, lol. I need to work on being more stylish! I love quizzes like this. Not sure I want to see my style…jeans and t-shirts. This sounds like an amazing service. So often I need advice, but have no one to ask.